There are many ways to benefit the work of St. Pius X through endowment giving. Once an endowment fund is established with a minimum $25,000 gift, any subsequent gifts are held in perpetuity while the interest on the principal provides for the fund's purpose. 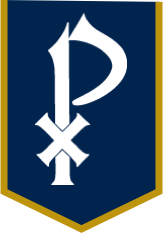 St. Pius X currently has funds that support the unrestricted needs of the school, faculty development, classroom enrichment, and more. For more information about establishing an endowment fund, please contact the Director of Advancement. To donate to a fund for the benefit of St. Pius X, click here. This fund was established by alumni Tom and May May Bindewald Bickes '74 & '75 in 2015. It provides professional development funding for St. Pius X faculty. This fund was established in 1999 by the Callahan family after Mary Byrne's death from cancer. Mrs. Callahan was a part of St. Pius X from 1968 until her death. She was the mother of nine graduates, and grandmother to others. She served this school, along with her husband Bob, as president of the Home and School Association, chaired Pius’ first school development fund, and volunteered for numerous other jobs on campus. In addition to establishing a scholarship fund for students and a professional development fund for teachers, this gift from the family also funded the new floor in the game gym and supplemented the tuition assistance fund. This endowment fund is held at the Catholic Foundation of North Georgia. This fund provides continuing education support for St. Pius X faculty. A portion of this fund also provides student scholarships. This fund provides teacher enrichment at St. Pius X Catholic High School. Established by the family of this Atlanta archbishop who encouraged the growth of the St. Pius X fine arts program, this award is given to students of the performing arts for advanced study during the summer. This fund was established in 2016 by Martin and Jennifer Flanagan, parents of two St. Pius X alumni, to provide enrichment opportunities for faculty, staff, and students. The fund is designed to encourage teachers to take their classes on pilgrimages, field trips, or out of classroom experiences that will engage the students in local arts, events, and learning experiences. Created in 2004, this fund provides professional development and continuing education funds for faculty and staff. This scholarship was established to supplement the income of a superior classroom teacher in order to recognize the importance of classroom teaching. This scholarship was established in 2010 by Tom and Mary Anne Mall, grandparents of Jessica Mall '13. Tom Mall, a Notre Dame graduate, is keenly interested in assisting St. Pius X graduates attend his alma mater. This scholarship is awarded to a graduating senior who has been accepted and plans to attend the University of Notre Dame. Established in 2015 by Mike and Susan Petrik, parents of Michael Petrik '00 and Stephanie Boyea '04, this fund benefits the general mission of St. Pius X. Established in 2000 to honor the sixth principal of St. Pius X, funds are provided for books for St. Pius X students who are the children of faculty and staff. Established in 2013 by a supporter of the drama department, this restricted gift honors Director of Theatre Ms. Bonnie Spark for her years of dedicated service to the school. Once endowed, this fund will allow the drama department to continue to grow for years to come. This fund provides for the general operating costs of St. Pius X Catholic High School. This fund will be endowed once the principal reaches three million dollars. This funded award is given to student(s) for advanced study in the performing arts during the summer.